Now collect as many 2 liter bottles as you can from your local recycling facilties. By filling the bottles with hot water the llabels are easier to peel off. 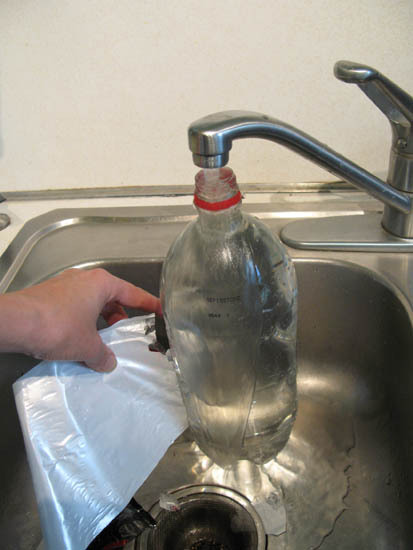 This process also removes old soda pop and cleans the bottles in the process.